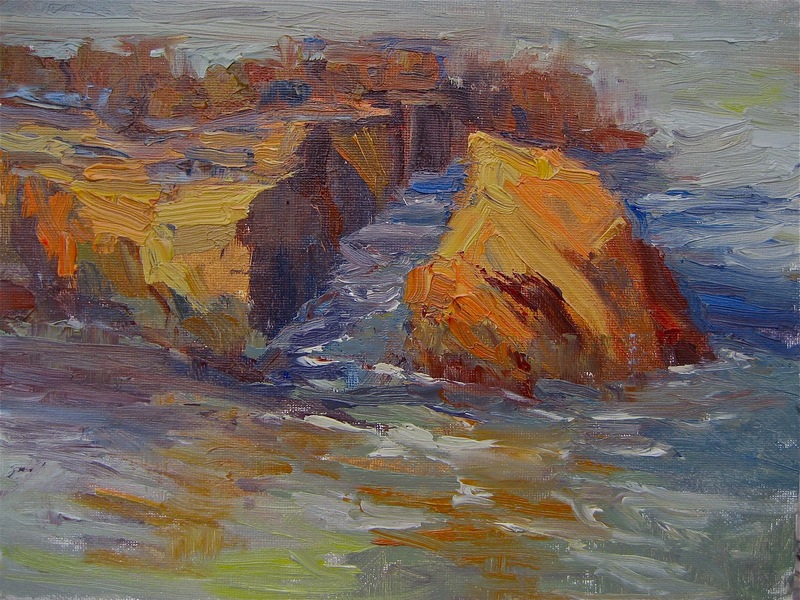 I never tire of painting this particular rock formation off the Laguna Beach coast. These rocks are as luscious as a banana split to a painter. There is so much color, value, design, water patterns , reflections, and energy. Well you get the picture. Fun day at the beach. I often teach classes at this particular spot. 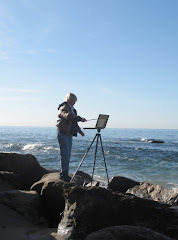 It is in Heisler Park, Laguna Beach. There is a roundabout perch directly above this scene. 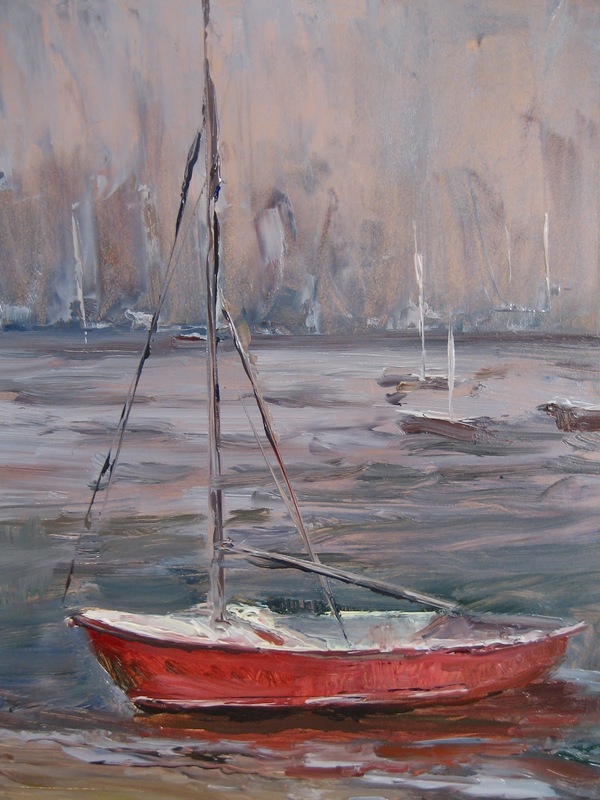 It was a beautiful sunny day in Laguna when I packed up my painting gear and headed to Balboa to paint boats cavorting on the sparkling bay. However when I arrived the sneaky fog fingers had taken over the harbor. This little sail boat, and many others,were dozing on the shore ,waiting for the fog to clear so they could get back to good sailing. I waited with them; but it was not to be. I could see the sun straining to emerge from the back of the bay; but the fog won. 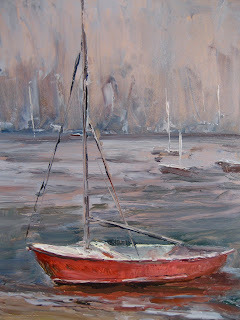 This is typical weather at this time of the year; so I would have to say that this 8x10 boat study was painted in her natural setting for October in Balboa Bay .